-Adjusts steering and braking if you cross detected lanes without signaling. Discover these additional Honda Sensing® features available on select 2017 and 2018 models. We're here to help you stay safe on the road. If you have more questions or would like to see some vehicles with these features in person, please contact us or stop by our dealership at 5525 Peachtree Industrial Blvd, Chamblee, GA 30341. We look forward to serving customers from Atlanta, Alpharetta and Gwinnett. 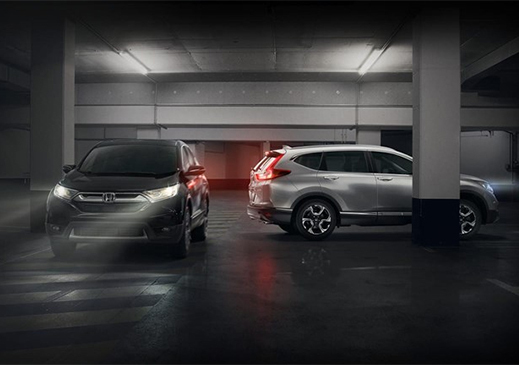 1Honda Sensing® available on select Honda vehicles. 2LKAS only assists driver in maintaining proper lane position when lane markings are identified without a turn signal in use and can only apply mild steering torque to assist. LKAS may not detect all lane markings; accuracy will vary based on weather, speed and road condition. System operation affected by extreme interior heat. Driver remains responsible for safely operating vehicle and avoiding collisions. 3Adaptive Cruise Control (ACC) cannot detect all objects ahead and may not detect a given object; accuracy will vary based on weather, speed and other factors. ACC should not be used in heavy traffic, poor weather or on winding roads. ACC only includes a limited braking function; driver remains responsible for safely operating vehicle and avoiding collisions. 4CMBS cannot detect all objects ahead and may not detect a given object; accuracy will vary based on weather, speed and other factors. System operation affected by extreme interior heat. Driver remains responsible for safely operating vehicle and avoiding collisions. 5LDW only alerts drivers when lane drift is detected without a turn signal in use. LDW may not detect all lane markings or lane departures; accuracy will vary based on weather, speed and road condition. System operation affected by extreme interior heat. Driver remains responsible for safely operating vehicle and avoiding collisions. 6FCW cannot detect all objects ahead and may not detect a given object; accuracy will vary based on weather, speed and other factors. System operation affected by extreme interior heat. FCW does not include a braking function. Driver remains responsible for safely operating vehicle and avoiding collisions. 7Display accuracy will vary based on weather, size of object and speed, and the display may not show all relevant traffic. The display is not a substitute for your own direct visual assessment of traffic conditions before changing lanes. Honda LaneWatch™ available on Fit, Civic Coupe, Civic Sedan, Civic Hatchback, Civic Si Coupe, Civic Si Sedan, Clarity Fuel Cell, Clarity Electric, Clarity Plug-in Hybrid, HR-V, Pilot and Ridgeline. 8The system is not a substitute for your own visual assessment before changing lanes. 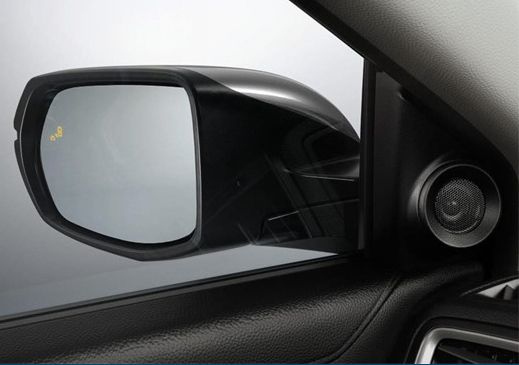 Blind Spot Information System may not detect all objects behind or to the side of a vehicle and may not detect a given object; system accuracy will vary based on weather, size of object, and speed. Driver remains responsible for safely operating vehicle and avoiding collisions. 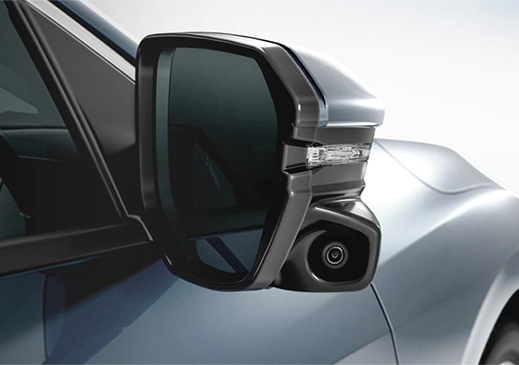 Blind Spot Information System available on Accord, CR-V, Pilot, Odyssey and Ridgeline. 9Always visually confirm that it is safe to drive before backing up, as the Cross Traffic Monitor may not provide complete information about conditions at the rear of your vehicle. Monitor cannot detect all objects behind or to the side of a vehicle and may not detect a given object; system accuracy will vary based on weather, size of object, and speed. Driver remains responsible for safely operating vehicle and avoiding collisions. Cross Traffic Monitor available on Accord, CR-V, Pilot and Ridgeline. 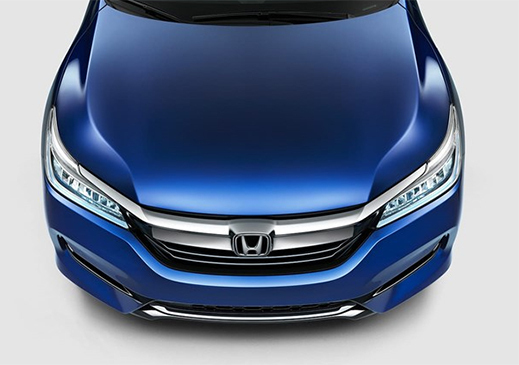 10Auto High-Beam Headlights available on Accord, CR-V, Pilot, Odyssey and Ridgeline.